Whether it is the rolling mountains, the hue of the leaves, the hugs from former teachers, or the spirit in the air, homecoming is a time to create everlasting memories. Carolina Day’s 2018 Homecoming was both festive and exciting! 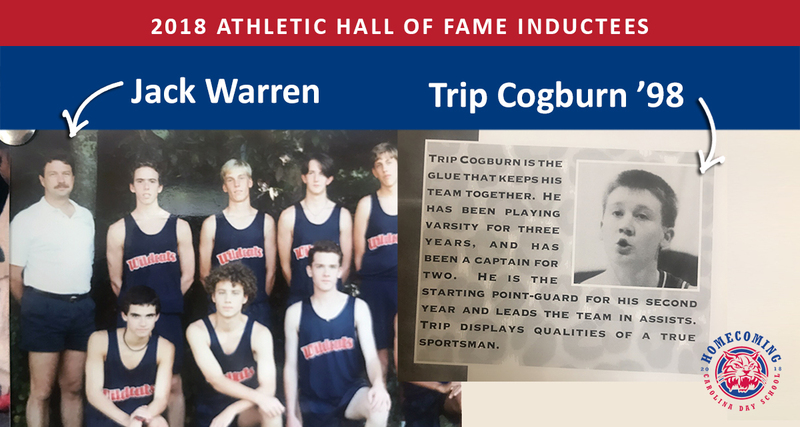 During Homecoming, we inducted Jack Warren and Trip Cogburn '98 into the Athletic Hall of Fame and our boys' varsity soccer team came out on top over ACA with winning penalty kicks in overtime in front of a spirited Homecoming crowd. 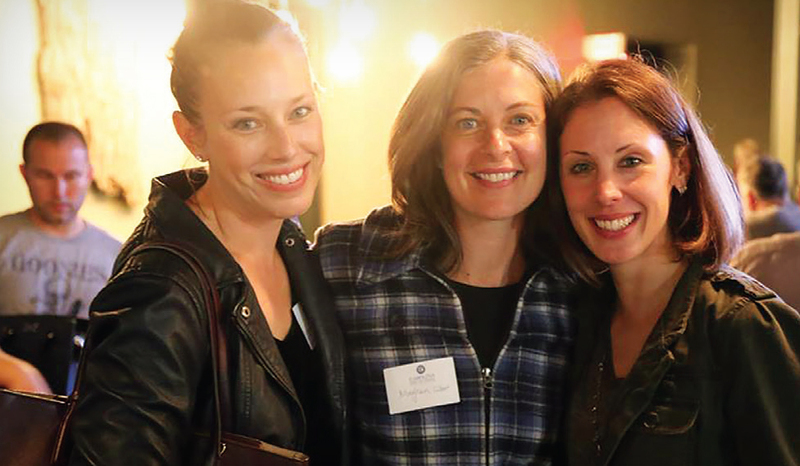 After the community celebration, many alumni attended the All-Class Alumni Reunion. It was wonderful to see so many members of our CDS community join in the celebrations. Please note: The Annual Golf Tournament has been postponed. The Golf Tournament that was planned for Thursday, October 11 was postponed due to weather challenges. We apologize for the inconvenience and look forward to sharing an update when we have a new date for the tournament. Thank you for your understanding. Hey, Wildcats—show your school spirit the whole week! We kick off the week with Fall Break, then ramp up the excitement with these dress-the-theme days leading up to the big day... Homecoming! Friday, October 12, from 4–5 p.m. Attendance is free; all ages welcome. Our Athletic Hall of Fame Induction honors our alumni and former faculty athletes for their accomplishments throughout their time at Carolina Day School. Friday, October 12, from 4–6:30 p.m. Varsity soccer game, face painting, inflatables, alumni meet-up tent, Root Down food truck, Upper School bake sale supporting the Blair Dismukes Scholarship Fund, and pizza slice sales supporting our Habitat Student Build. Please note: There is no childcare onsite at Sgro; all children must be supervised. 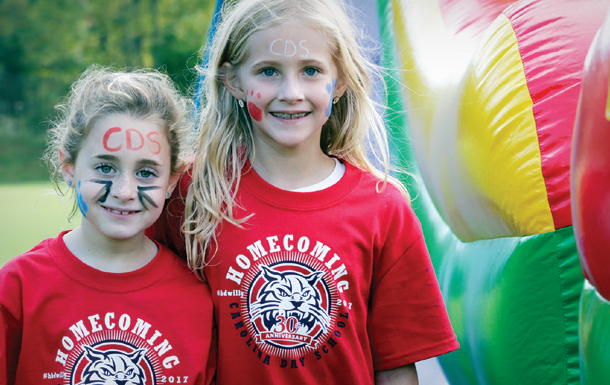 Getting there: Make your visit to the Homecoming celebration as easy as possible by using the free shuttle service offered by CDS. A shuttle bus will run continuously from the campus of Carolina Day School to Sgro Athletic Complex from 3:30–7 p.m. Calling all predecessor schools, all classes, all alumni! Special recognition to the Class of 1988—the first graduating class as CDS—and all alumni class years ending in “3” and “8”! Friday, October 12, from 6:30–8:30 p.m.
Association. You must be 21 to attend. *Complimentary All-Class Reunion admission for alumni who attend Homecoming: get your reunion pass in the Alumni Meet-Up Tent! One complimentary pass per person.